Well... April was a complete whirlwind! Since getting back from Nepal, I've hardly had a minute to catch my breath. This month I've spent some time up in the Lake District in very wet weather, been on some good old walks in the Peak District and I recently spent a few days down in Devon where the weather was glorious! There were some definite signs of summer appearing, but we didn't manage to avoid the April Showers and that springtime chill in the air - the remnants of winter still clinging on. 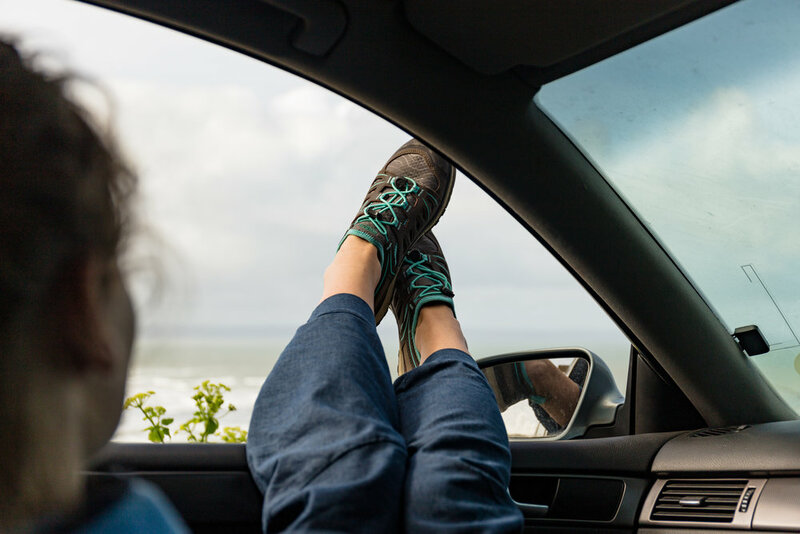 Given the unpredictable British weather, this month's Gear List contains a mixture of more summery items to get you ready (and excited!) for the warmer temperatures, and a couple of things you'll probably still need to keep you warm and dry. You know what they say, 'there's no such thing as bad weather, just inappropriate clothing'. It's definitely something I find to be true, and investing in that good quality gear is something that I think is justifiable. So, let me get you started with a few of my favourite pieces of gear for April. You may remember that I mentioned this jacket in my Nepal Packing List, however I decided it was worth a mention in a Gear List as it's not just an expedition item - it really is a jacket that you can wear all year, for hiking, climbing, camping, and even around the city. 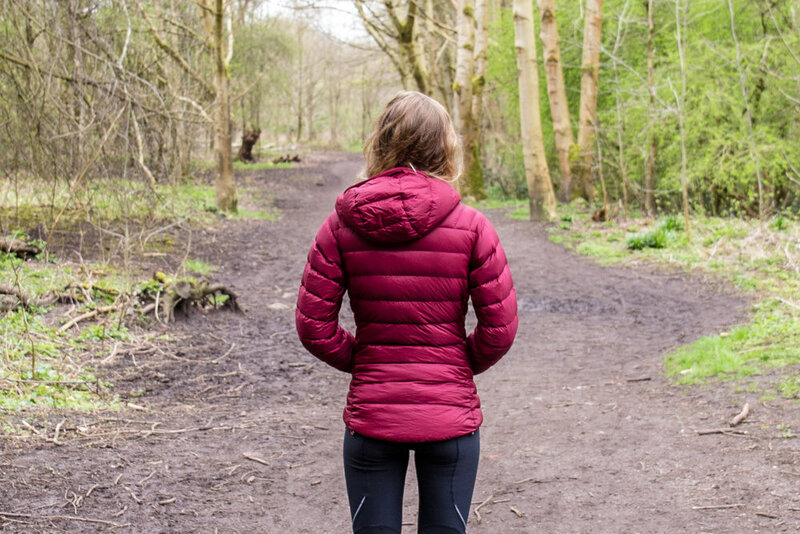 Rab's Electron Jacket is incredibly versatile, as a lightweight, packable jacket that has some key design features you'll love. The fit is flattering and comfortable on a woman's figure, clinching in at the waist with reduced down panels underneath the arms to keep the weight down. The hood is large enough to fit over a mountaineering or climbing helmet, or can be packed down to the collar. I particularly love the elasticated stretch woven cuffs that allow for extra movement around the hands, and the sizeable pockets that come in handy when hiking. In Nepal, the jackets kept us warm at -25 degrees thanks to the responsibly sourced 800FP Goose Down, but with a breathable fabric we also weren't sweating when exerting energy at the 5,000m altitudes. The outer fabric is windproof and water resistant, while being free from fluorocarbons that can damage the environment. For me, the Rab Electron is the ideal down jacket that you can chuck in the top of your bag when heading up a hill in the summer, ensuring that you have a warm layer to put on when the temperatures are chilly at the summit. Read my full review for Outdoors Magic here or find the jacket on Rab's website here. I couldn't not mention these pants... mainly because I've been obsessed with them since the moment I got them, and wore them more than I care to admit in Nepal! The Venga Rock Pants are part of Patagonia's Spring/Summer 2018 range, designed for rock climbing but with a soft, organic cotton fabric. What attracted me to them initially was the style, colour (I have them in Pesto, which I love!) and the light material. When I buy something new, I like to think what I'll use it for, and if it ticks a lot of boxes then I think it's worth the purchase. These pants ticked A LOT of boxes. I initially thought I could use them as my more 'casual trousers' in Nepal, i.e. on the plane, in Kathmandu and travelling before we trekked. I also use them for climbing, both indoor and outdoor, as well as for general outdoor pursuits (when the weather is dry!). Because the pants are so comfy, and I really like the way they look, I also wear them for casual use if I'm going into town or even for sitting at home at my desk. The Venga Rock Pants are incredibly versatile, look great and are super comfy. These are my current favourite trousers for Spring. You can get the pants in a range of different colours, and note that the sizes on the website are in US sizes (so add four for your UK size - I wear a US 6 which us a UK 10). There is also a men's version of the pants. Get the Vengas from Patagonia Manchester or online here. I got this anorak towards the end of last summer, however I'm mentioning now as I think it's perfect for Spring and I'm looking forward to wearing it to add a bit of colour to my outerwear. The anorak is wind-proof, water-resistant, quick-drying and lightweight. I'm planning on wearing it for both hiking and climbing when the weather is nice, but perhaps a little breezy. It's the perfect layer to put on at the top of a hill, light and small enough to pack into your rucksack. Note that the jacket is only water resistant, so if rain is looking likely make sure you back a good waterproof as well. The anorak also available in yellow, which I love, however I was a big fan of the bright purple colour when I got the coat. You can get the Fjallraven Anorak from some Ellis Brigham stores, or online here. This is an item that I used every day in Nepal, and that is also ideal to purchase now for summer camping trips. I actually already had a head-torch, however after getting caught in the dark on a hike with my friend Anna and realising how ineffective mine was, I decided it was time to upgrade and to research the right product to buy. Something I hate is wasting money on cheap items that soon turn out to be ineffective or which break altogether, so I really think it's worth investing a little more money into a good head-torch if you're planning on doing a lot of camping and hiking this summer. The Petzl Actik was recommended to me numerous times, providing 300 lumens of light and allowing you to see as much as 100m ahead of you. Something which appealed to me was the fact that the torch can be re-charged either with AAA batteries or by USB, meaning there's no excuse to get caught out without a head-torch. The torch also has a few different light settings, an emergency whistle and is comfy to wear. At £39.99, it's not the cheapest item, but from my personal experiences of having a cheap head-torch, it's definitely worth the investment. You can buy this head-torch from most outdoor stores or on Amazon for around £40. I got mine from Ellis Brigham in Manchester. Find the head-torch online here. Ok, so I may be a little early on this one - as the weather has only JUST started getting warmer - however I'm really excited to start using these new summer hiking trainers from KEEN on those warm spring and summer days! I was kindly gifted these shoes by the company as a breathable summer hiking shoe, however I would definitely recommend the brand and shoe as a great summer option. I was attracted to them remembering hiking up Snowdon in my boots last summer and being absolutely boiling, so a warm-weather hiking trainer is definitely something I felt I needed. 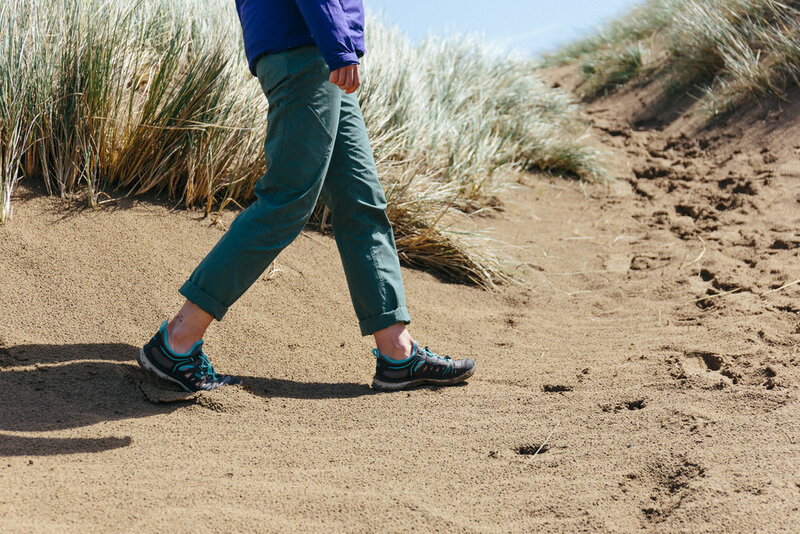 This year, I'm hoping to get out onto the continent and do some walking in Spain or Italy; the Terradora Ethos shoes will be perfect in those warmer, humid conditions to avoid sweaty, clammy, uncomfortable feet when hiking. I've worn these shoes a few times now, wandering on the beach in Devon, walking out to climbing spots, and also as a casual shoe in town. The shoes feel incredibly light, comfortable and breathable to wear, while the sole is still sturdy enough to ramble on rock and hike on tougher terrain. The lining is quick-dry and the foam insoles feel soft and spongy under my feet. 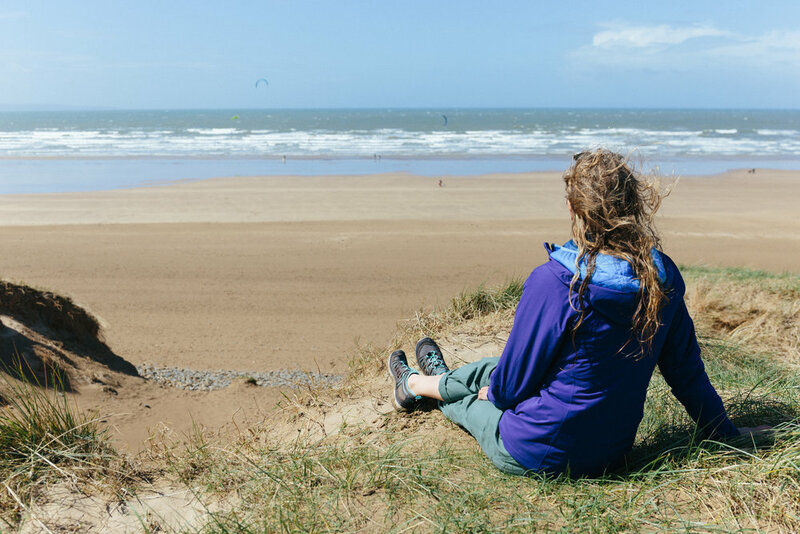 I would certainly recommend the Terradora Ethos if you're looking for something light to hike in over summer, and you'll probably see me wearing mine a lot more as the weather gets warmer! I like the splash of turquoise colour on my pair of shoes, however you can also get them in a more subtle grey or a bright pink. Find the shoes on the KEEN website here, available for £84.99. Let me know if you end up buying any of these products! I'd love to know what you think. I'll be looking for more summer hiking and outdoor gear for the May Gear List, so keep a look out for the next one in a month's time. Hope you manage to get outside in the warm weather!